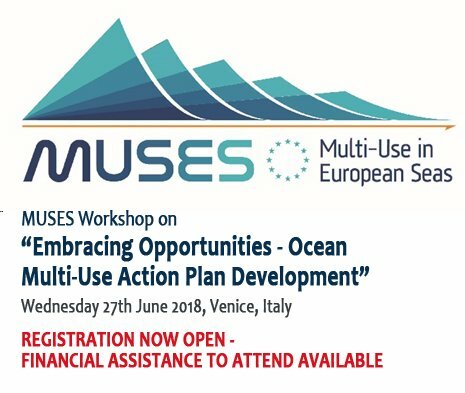 On Wednesday 27th June 2018, Thetis will host the MUSES Stakeholder Workshop on “Embracing Opportunities – Ocean Multi-Use Action Plan Development”. 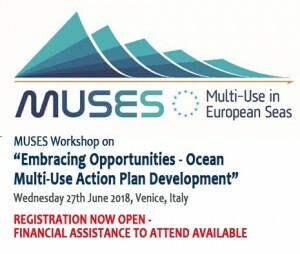 MUSES is a two-years Horizon 2020-funded project, ending in October this year, exploring the real opportunities for Multi-Use in European Seas, including the scope for innovation and Blue Growth potential. The workshop will gather stakeholders with different expertise to discuss actions that are needed to facilitate the implementation of the multi-use of the sea space and identify actors responsible for their execution. Workshop outcome will inform the Action Plan to be produced by MUSES by the end of the project (October 2018).